Today we feature DMG’s very own Josh Cocozza. 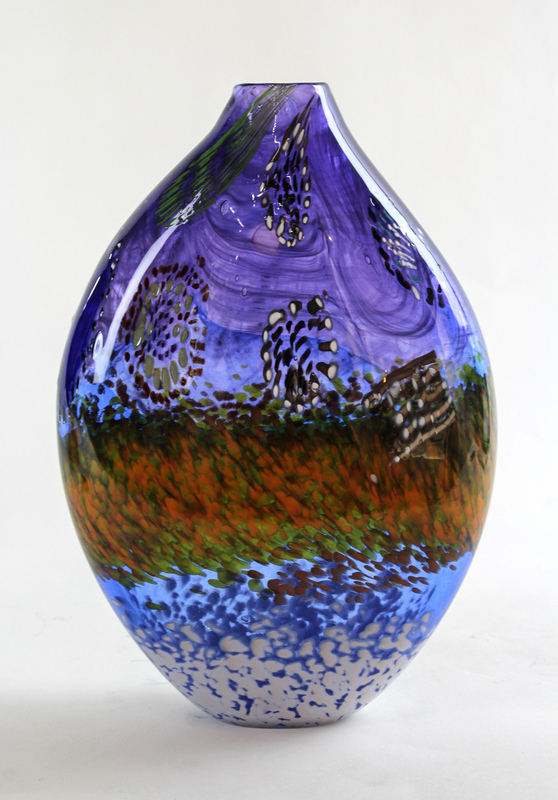 Josh came to the Gallery in 2013 with a lifelong love of glass in one pocket and a couple dollars in the other. Looking for work and eager to help out, Josh began trading time helping out around the gallery, grounds, and hot shop until Duncan employed him full-time as Hot Shop Technician. 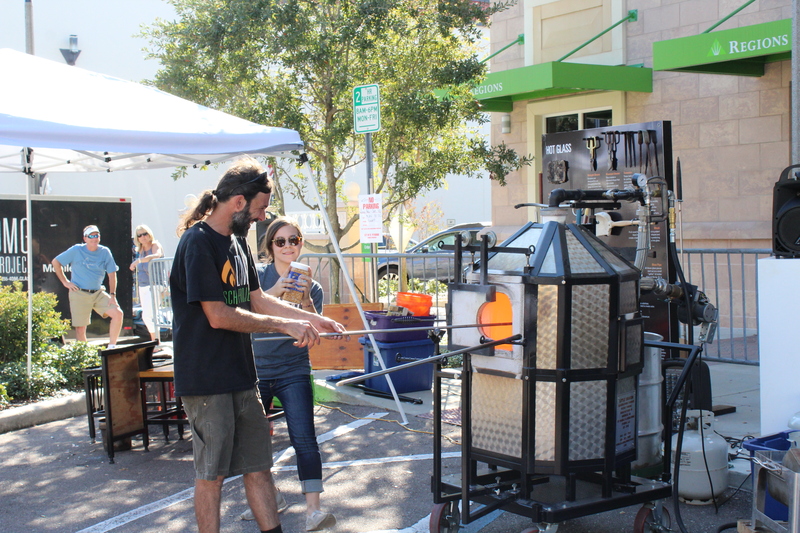 Fast-forward five years, Josh not only maintains the equipment and tools, but also assists the all-star roster of glassblowers and narrates the process for captive audiences during demos both onsite and off. 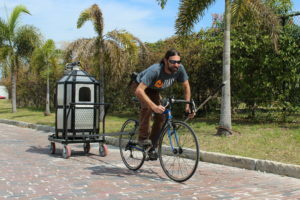 He spearheads efforts traveling with DMG’s Little Dragon mobile furnace, working 12+ hour days ensuring that the mobile set up goes smoothly from door-to-door, and of course narrating the process for students and glass voyeurs at schools and community festivals. 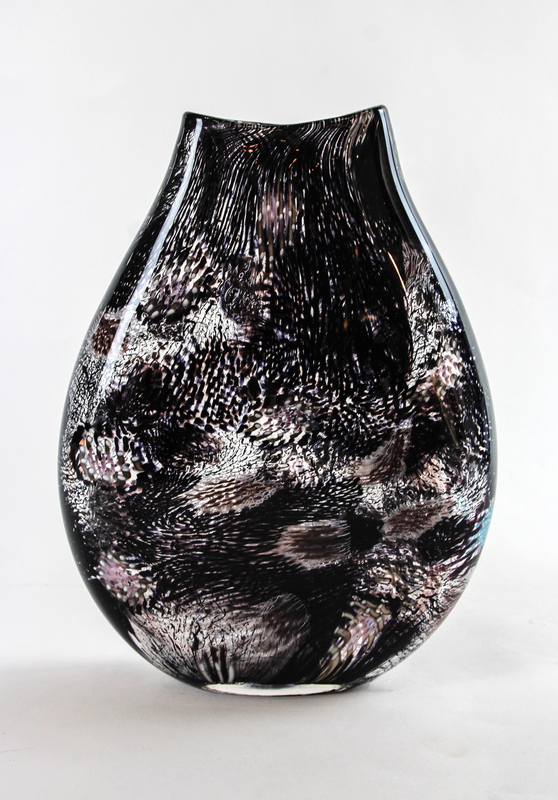 Josh spends his free time creating beautiful works of glass art with an emphasis on murrini and canework that are for sale at the Gallery. Come check out Josh and his work today! !